When building out a development or test environment, flexibility is at the core of why the cloud has become so popular for enterprises today.With NetApp® Cloud Volumes ONTAP (formerly ONTAP Cloud), you can take advantage of the flexibility of AWS and Azure compute while also gaining enterprise-class storage and data management features that minimize the resources you’d normally consume, as well as enhance your ability to scale. 1. Performance: No longer be hindered by resource availability, storage capacity, on premise restrictions and load management; your databases on the cloud can perform at increased speed levels to help you achieve cloud computing efficiency. 2. Cost Efficiencies: Minimize cloud storage footprint with snapshots, thin provisioning, deduplication, compression, and NetApp's FlexClone® technology. 3. Data Protection: Enable simple recovery from data corruption by using snapshots that are storage efficient, fast and assure data integrity…no matter the size of the data being backed-up. 4. Simplified Management: Take advantage of a single management interface to deploy provision, and monitor your hybrid cloud storage infrastructure. Learn more about NetApp OnCommand® Cloud Manager. 5. Automation: Utilize Cloud Manager APIs to deploy, configure, and manage your Cloud environment, and the same scripts you use on your Cloud Volumes ONTAP instances. 6. 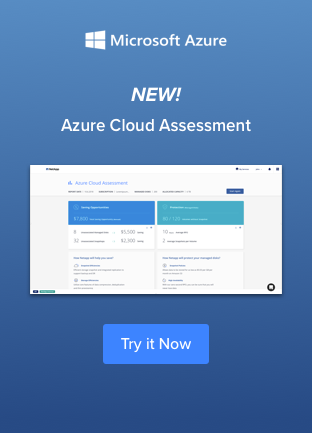 Scale and Grow as Needed: Increase the capacity or the size of your Cloud Volumes ONTAP systems quickly and easily with Cloud Manager or deploy additional Cloud Volumes ONTAP systems in minutes for full efficiency in the cloud. NetApp’s Cloud Volumes ONTAP enables your Test and Development operations to achieve cloud computing efficiency now… just like they do on premises. Take full advantage of your on-premise features, but now in the cloud. This enables you to test fast, enhance fast, fail fast, and more importantly…SUCCEED fast. 3. Or go Hybrid with NetApp Private Storage (NPS). This is where you can take full advantage of your data being next to the public cloud, but not in it for increased performance, scalability, and control over your data. If there is one key NetApp technology that every Test and Development shop should use, it’s FlexClone®. With FlexClone® technology, you can create a golden (clone) image, and deploy all your workloads off of clones without expanding your storage footprint. Along with storage resource efficiency, each of these clones can be created instantaneously. This allows you to rapidly build out hundreds of environments in minutes, versus traditional solutions that sometimes take weeks or more… not to mention the numerous (and costly) copies of storage they will require. In addition to achieving test and development efficiency in the cloud, watch the on-demand webinar here to learn how to reach cost savings and flexibility in the cloud. Want to get started? Try out Cloud Volumes ONTAP today with a 30-day free trial.